My story in this book speaks to creating a new understanding of how to care for the human body. How I made a request of the medical system and they honored that request only to create and illusion around that CHOICE! But I moved through the deception in love and kindness while figuring out What was the Illusion and What was the Reality around my mother's care. There was no fear in me when the doctors did a medical procedure on my mother Shirley R. Hardy without my mom’s permission or mine. I was not afraid to tell them to reverse the procedure and stop managing my mom’s sickness to keep her alive by any medical means necessary. My mother had told her medical doctor, the Gastroenterology of 15 plus years that she would not do dialysis that when that time came to let her go, she was tired. She had tried everything that was requested of her and still she did not get better. She told me that when she could not speak for herself anymore do not let them keep her here when she cannot do for herself no matter what they said, little baby. Little baby is the name that my mother would give me as a child when she wanted me to hear what she was saying to me and understand that she meant what she was saying. My grandmother Ruth Bond would do the same thing that my mother did. She would say Karen don’t let them keep me here on her way to the hospital in 1988. My mother is there with me, and she would say that to me, I was 31 years and nowhere in my consciousness did I understand why she said that to me and not my mother ... Get the book to finish the read and thank you for leaving your review. Energetically speaking microbes or germs are formed by the power of thought. Thoughts become entities and have identity according to the character of the thought in the mind of the thinker. Error thoughts make disease microbes. So in the case of diseases it is an inharmonious condition in mind and body brought about by error thinking. To think this way and try and correct this thinking from an external thought process is working from a mind virus infection in your awareness of life experience. Mind is another word that represents the universal Principle of life demonstrated in action by the acknowledgement of God Energy of presence in all life ... Get the Book to finish the reading! The Soul Code for Women focuses on the human power to awaken codons within the DNA structure. Women carry hormonal difference and emotional reactions different than mean and as such, tend to deny themselves of wealth. 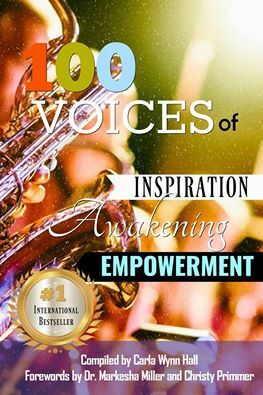 Carla Wynn Hall has intentionally written this book for multiple generations of women to come. Her theory rests in the "Sacred Art of Story Healing" and her belief is that through writing out an old story, one is better equipped to be grateful for the present while co-creating the future. Inside of the literary masterpiece you will find three philosophies to guide you. #1 The Pattern Coherence Method of recognizing family patterns and healing them to create a new soul map for wellbeing. #2 The Anatomy of Wealth and how the DNA plays a role in attracting wealth or attracting poverty based on the old story. #3 The Emotion of DNA focuses squarely upon those tendencies that can be altered with thought. Both metaphysical and practical, this is the book for all soul inspired humans seeking more in their life. It goes deeper than self-help and wider than spirituality. Read of Carla Wynn Hall's own journey to the light of awareness.